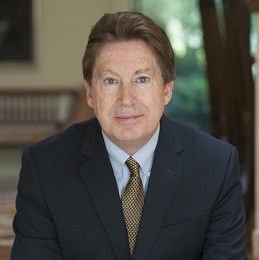 Dale E. Bredesen, MD, received his undergraduate degree from Caltech and his medical degree from Duke University. He served as resident and chief resident in neurology at the University of California, San Francisco (UCSF) and as postdoctoral fellow in the laboratory of Nobel Laureate Professor Stanley Prusiner. He was a faculty member at UCLA from 1989 to 1994, and was then recruited by the Burnham Institute to direct the Program on Aging. In 1998, he became the founding president and CEO of the Buck Institute for Research on Aging and adjunct professor at UCSF. In 2013, he returned to the University of California, Los Angeles (UCLA) as director of the Easton Center for Alzheimer’s Disease Research. The Bredesen Laboratory studies basic mechanisms underlying the neurodegenerative process and the translation of this knowledge into effective therapeutics for Alzheimer’s disease and other neurodegenerative conditions, which has led to the publication of over 200 research papers. He is the principal investigator for the Alzheimer’s Disease Research Center at UCLA. He established the ADDN (Alzheimer’s Drug Development Network) with Dr. Varghese John in 2008, leading to the identification of new classes of therapeutics for Alzheimer’s disease. His group has developed a new approach to the treatment of Alzheimer’s disease, the MEND protocol, and this approach has led to the first description of a reversal of symptoms in patients with mild cognitive impairment (MCI) and early Alzheimer’s disease.